What if cost was not an issue when chosing a new stringing machine for your business? You would be inclined to look for precision, top notch features and something extremely accurate and easy to use. Many names are synonomous with quality stringing machines such as Babolat, Prince, Gamma, Wilson and Yonex but have you checked out what Tecnifibre has designed lately? A company out of France has been developing quality stringing machines since 1949. Tecnifibre is a French company known for quality tennis strings, rackets and stringing machines. 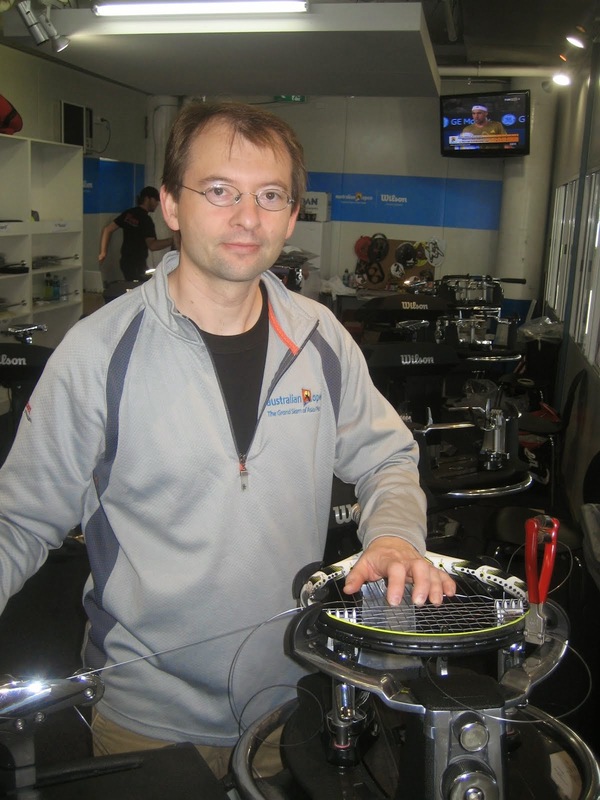 Back in 2009 new technology was being developed and a new line of quality high end stringing machines developed for Tecnifibre. All parts are made in France with some handmade parts as well. Tecnifibre designed the custom built stringing machine program to allow the stringer to have a customized machine to meet their individual needs. This new 'Ergo' system offered 3 seperate machines including the Select, Touch and Pro. At the high end of stringing machines there are certain specifications and features that are just assumed that the machines have, features such as professional 6-point mounting, computerized stringing, multiple pull speeds, adjustable height, consistency and quaility computerized elements,etc. There are some features however that make some machines stand above the rest and Technifibre has some of these features built into the Ergo machines. Technifibre had a reliable machine with the TF-6000 but took it to the next level with the new machines. You can expect a pre-stretch function to avoid manual prestretching (even though most professional stringers still pre stretch manually), 5 tension speeds for various types of string, knot tension function which lets you set extra tension just for tie-off (The Babolat Sstar 4 was the first machine that I saw that had this feature). Dual action 360 degree professional clamps, manual turntable lock and pneumatic height adjusting stand (no more labor involved in adjusting that machine for your stringing needs). The new Wilson Baiardo machine also has pneumatic adjustable height and this feature make standing for hours much easier, adjust for various heights based on main string and cross string installations. The one feature that is significant here is the fact that Tecnifibre eliminated the use of the Diablo on this machine (diablo is the round area where the string wraps around when you pull, many have found that machines sometimes damage or crease strings by the methods for pulling). The variations of the 3 machines in the Ergo series are based on specifics of what the stringer needs, one of the machines is relatively lighter and designed for tournament stringing so the ease of transport is critical. Technifibre is known for tournament stringing and many tournaments around the world including the French Open and Berlin have utilized these machines. Technifibre is a bigger force outside of the US and has a relatively small following here in the US market but the quality is second to none and you won't find these products made in China. Drop me a note if you have experience with these strings. Great article! I really enjoyed the post! 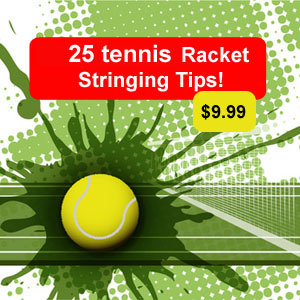 Tennis Stringing Machines can be costly but ultimately pay for themselves!